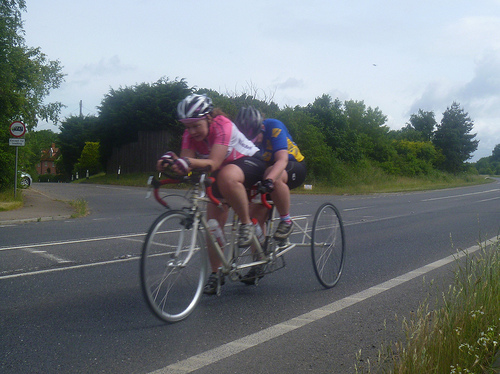 Sunday saw the successful pairing of rival two rival Audax clubs – Willesden CC and the VC 167 for a new venture in the depths of Norfolk/Suffolk – a tandem trike 50 mile time trial. On an unsettled day described by some of the bikies as the hardest 50 they had ever ridden our own Jane Swain teamed up once again with Lindsay Clayton of the VC 167 to see what they could do. After the initial fear of venturing where none had gone before they got to work to set a new best on record figure of 2:32:11 on a difficult day. 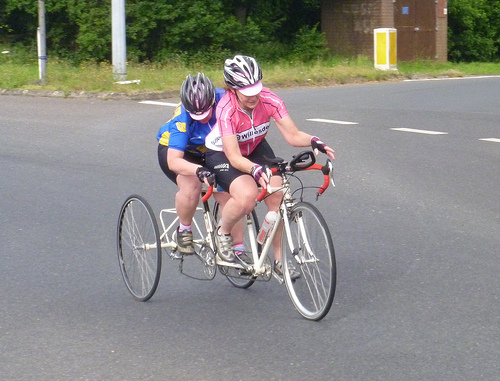 The temptation to try again on a better day will have to wait until next year as Lindsay is chasing Audax tandem points for the rest of the season. Good to see the Willesden in front! !